Attention! This product is deprecated. 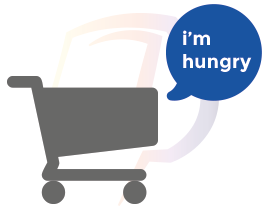 Click here for the next generation product. 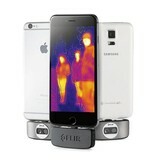 The new generation FLIR ONE thermal imaging cameras have been specially developed for iOS phones. 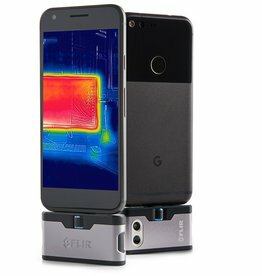 They are more compact, equipped with the new Lepton infrared camera combined with a second camera for even higher image quality. 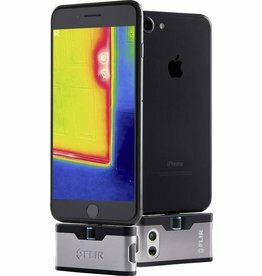 FLIR ONE is lightweight, easy to connect and easy to use. You’ll explore the world around you in ways you never thought possible, with no additional cords, cases, devices or screens necessary. 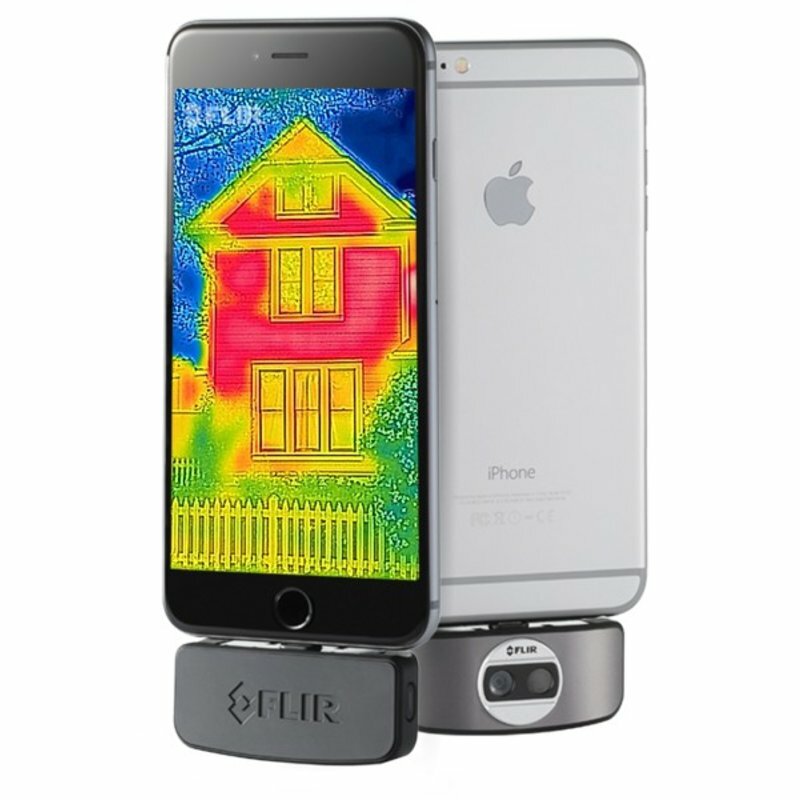 Simply attach FLIR ONE to your smartphone or tablet and take it with you wherever you go. A new world of vision in the palm of your hand. 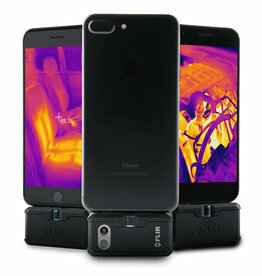 Thermal imaging is one of the most powerful technologies ever developed to enhance human vision. 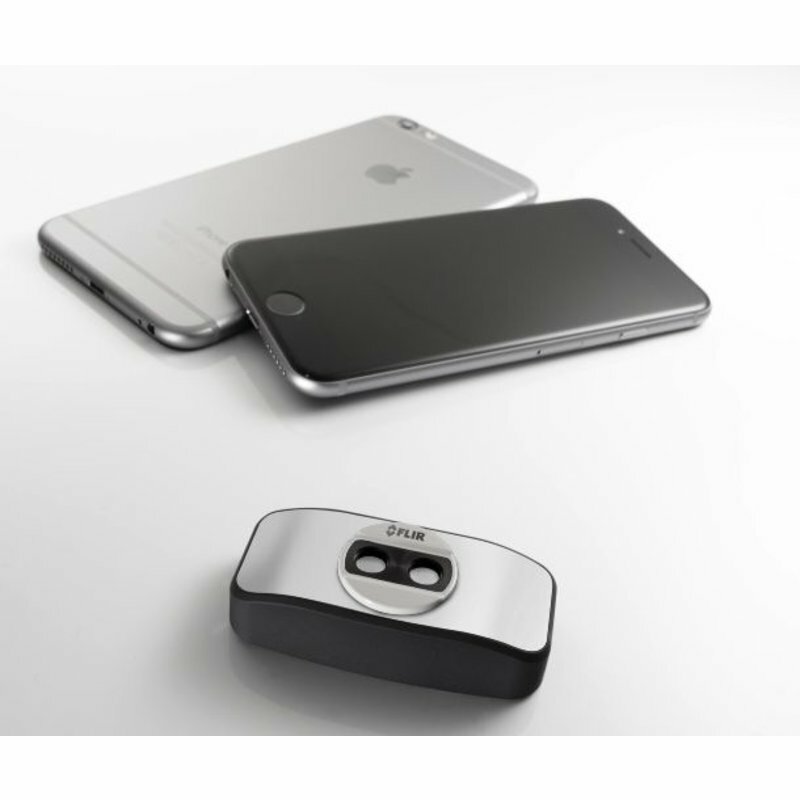 Normally, our vision is limited to a very small portion of the electromagnetic spectrum. 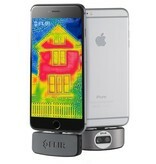 Thermal energy has a much longer wavelength than visible light. So long, in fact, that the human eye can't even see it, just like we can't see radio waves. 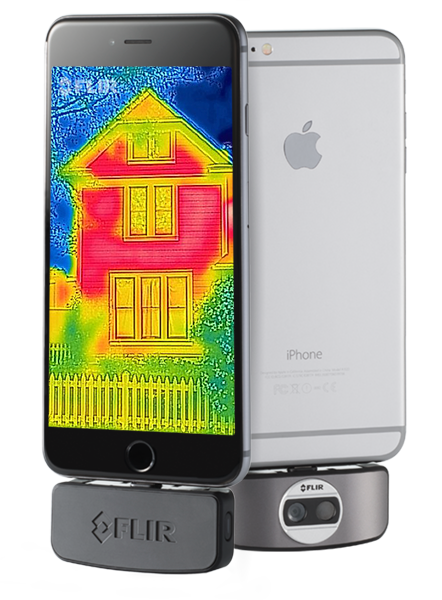 With thermal imaging, the portion of the spectrum we perceive is dramatically expanded, helping us "see" heat. 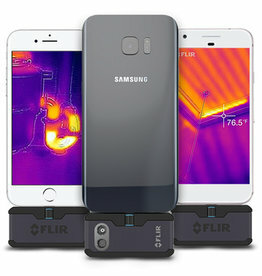 Visible light doesn't affect the thermal world, so you can see equally well in highly lit and totally dark environments. 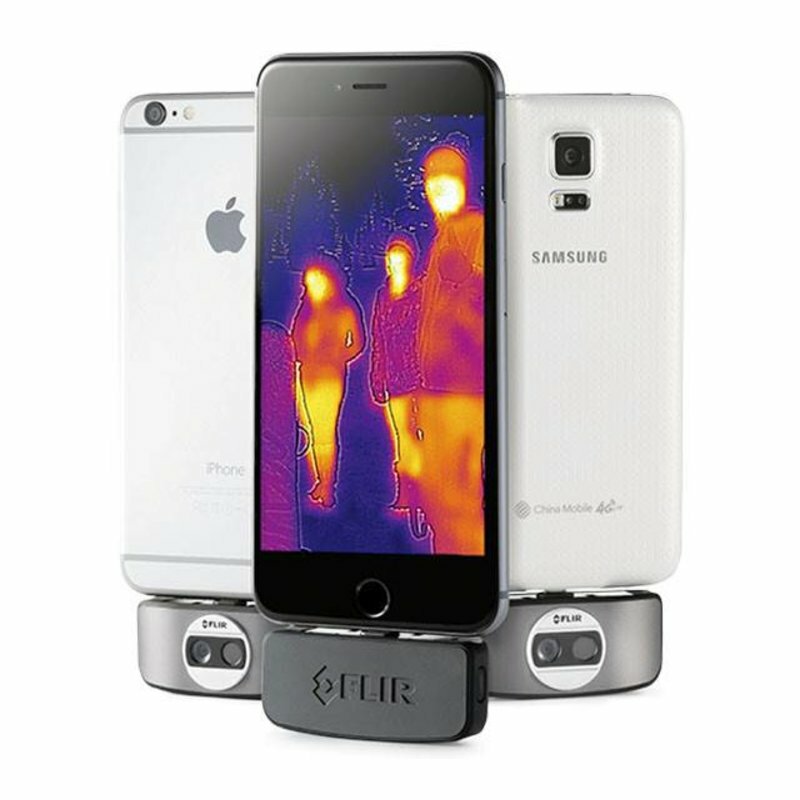 The FLIR ONE™ thermal camera allows us to see things the naked eye could never perceive on its own. De camera werkt heel goed, door de dubbele lens techniek is het beeld erg goed, alles is omlijnd dus super duidelijk en de rubberen bescherm hoes is ook erg handig. 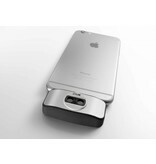 product werkt prima makkelijk te bedienen, minpuntje indien een hoes om de Iphone dan is stekker lightning te kort!